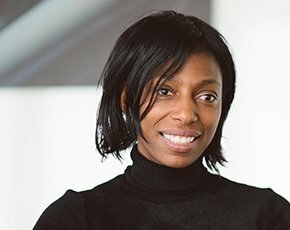 Ofcom’s new chief executive Sharon White (pictured) has hinted she may consider deregulating both the telecoms and the television industry, and will consider whether or not Openreach should be spun out of BT entirely. Speaking to the Financial Times, White, who took up her position in March 2015 and was immediately thrown into a wide-ranging review of the UK’s digital communications sector, said that evolving modes of communication and media consumption may call for more lighter-touch regulation in the future. Spurred on by a number of factors, including the spate of acquisitions in the mobile sector which has seen BT buy EE and Three purchase O2; BT’s move into pay-TV services with the launch of its own sports channels; and Sky’s move into broadband, White’s review will consider if the time has come to rethink how the industry is regulated. She confirmed to the newspaper that the future of Openreach, BT’s arms-length infrastructure arm, will be on the table. Whether or not Openreach should become a completely independent company has become a bone of contention among major internet service providers, such as Sky and TalkTalk, as well as smaller operators and pure fibre players, which tend to believe that Openreach’s hold on the country’s infrastructure restricts their ability to invest in their own networks. In the interview, White also discussed the need to consider how the UK’s digital sector would need to respond to the number of US internet firms providing so-called over-the-top services, which is disrupting operator revenue streams. White, an economist and long-time civil servant who has worked for both Tony Blair and David Cameron, was appointed as the new chief executive at Ofcom at the end of 2014. She replaced Ed Richards, himself a former communications and internet policy advisor to the Blair government.